Having structured the land, and then forming the slopes and pathways of STEF, our next step was to lay the turf on the site. 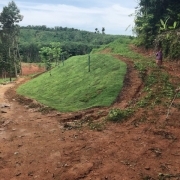 It is now late April, and in order to prepare the site for the heavy rain of the monsoon season in the months ahead, and to avoid soil erosion on the slopes and banks from the water runoff, over 9000 square metres of turf needs to be laid to bind the soil together – assisted by the newly planted trees. compared to the West. Instead of using grass seed, or long strips of turf, here the turf is cut down small square pieces, and these are then fixed to the soil with a wooden skewer. With grass seed, the heavy rain of the monsoon would saturate the water content of the soil, leading to water runoff and the seeds would simply be washed away and lost altogether. 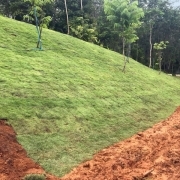 The first batch of turf was planted on the bank east of the first pool, working backwards towards the elephant pool. 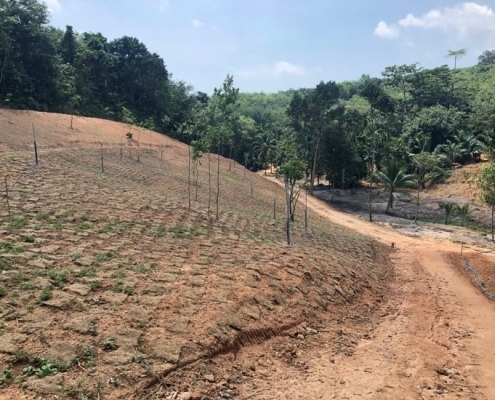 The work was completed by the wonderful and hardworking couple who have been working on this land for over 40 years, under the supervision of Jake and some of his colleagues. 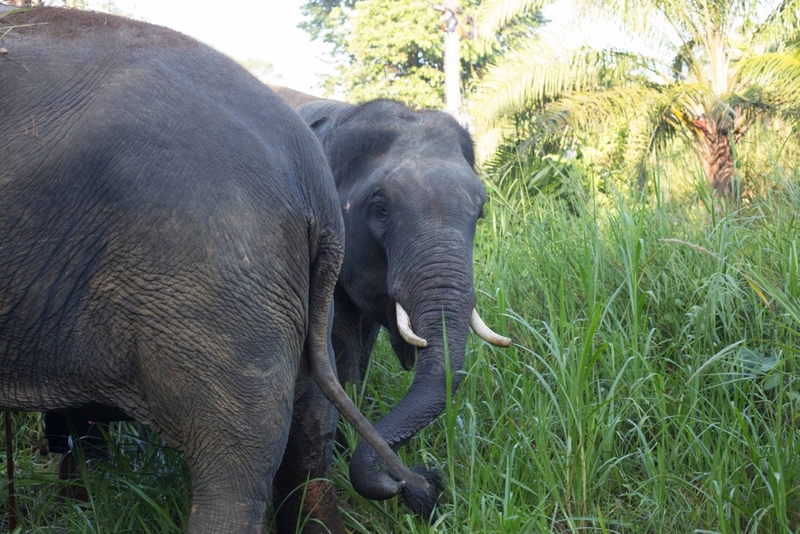 STEF must be the first priority, it is important that we structure the site to have widespread areas where the elephants can naturally graze. 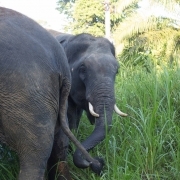 Natural grazing is a key factor in maintaining a high level of welfare as it gives the elephant choice and diversity of food, as well as allowing the elephant to use the full range of their trunk’s abilities. You can help us make it happen. Please just click here. Please come back next week to read another blog post on our next endeavours on site!